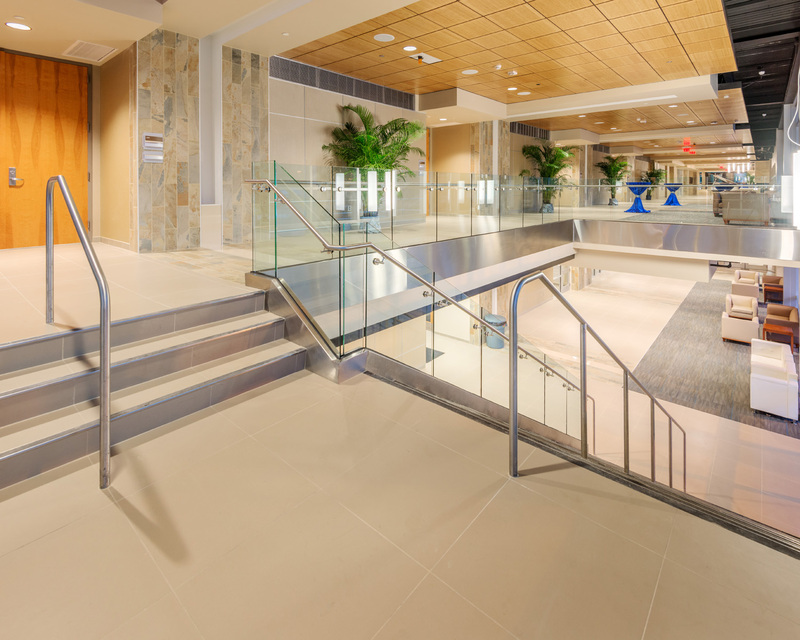 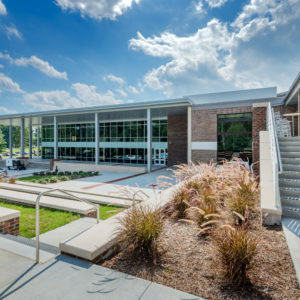 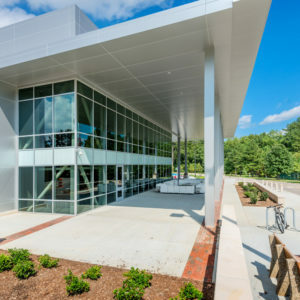 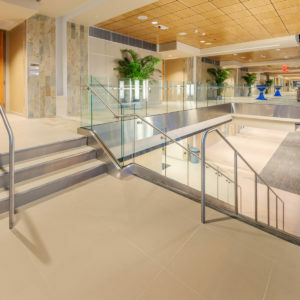 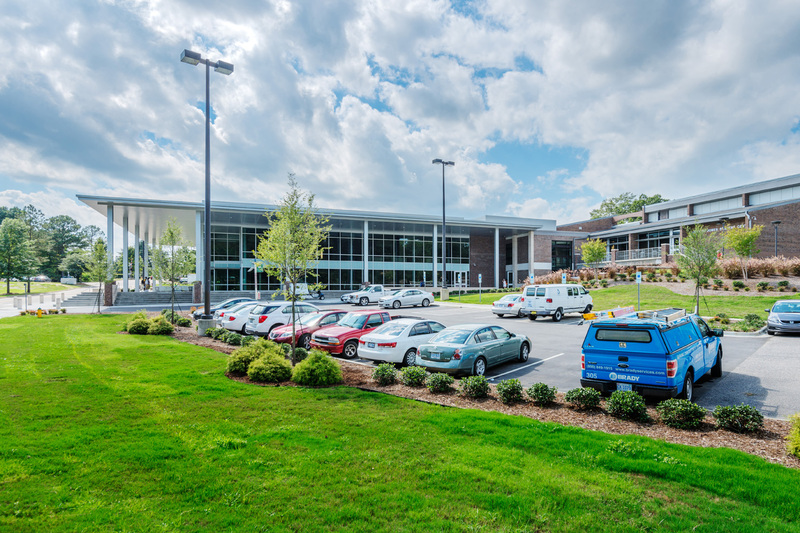 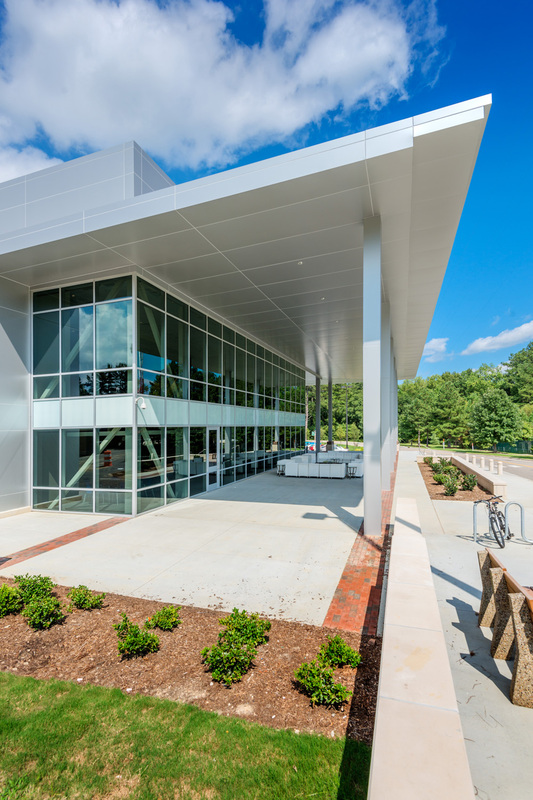 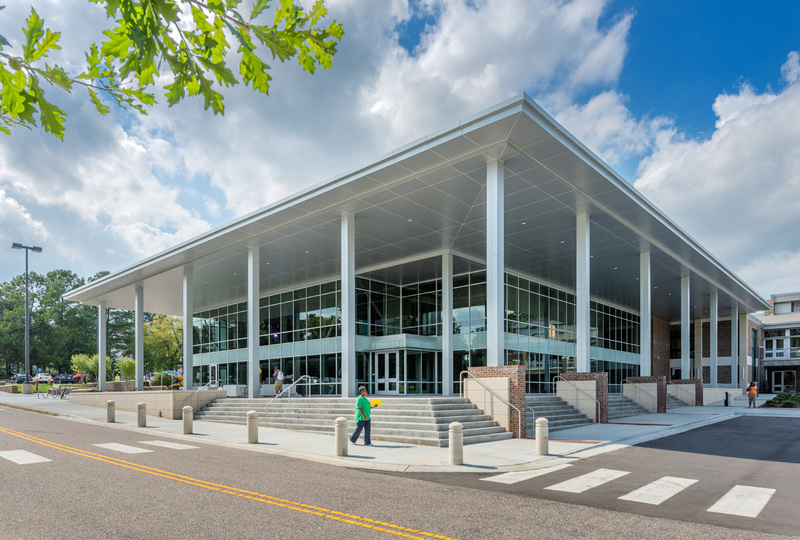 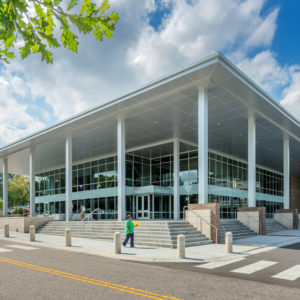 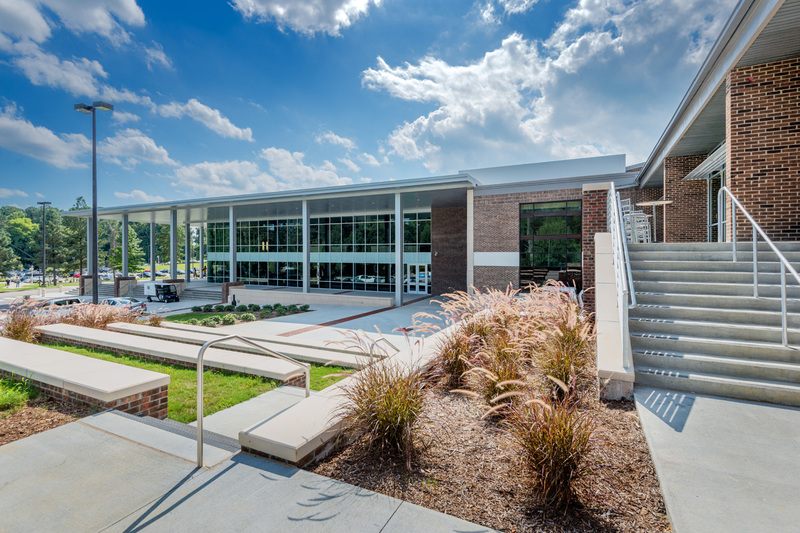 The 69,000 sf renovation of the existing Fayetteville State University Rudolph Jones Student Center and 40,000 sf addition now serve as a campus hub to students and staff. 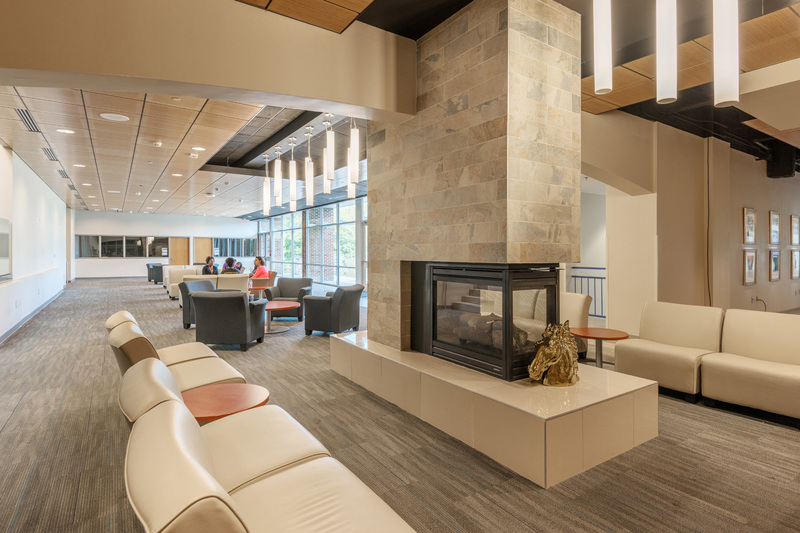 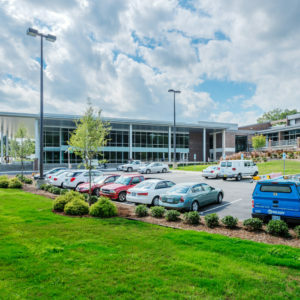 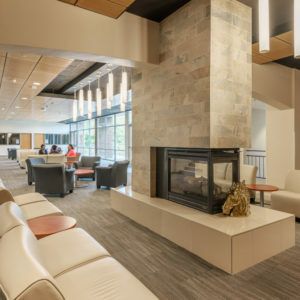 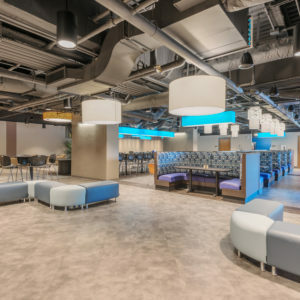 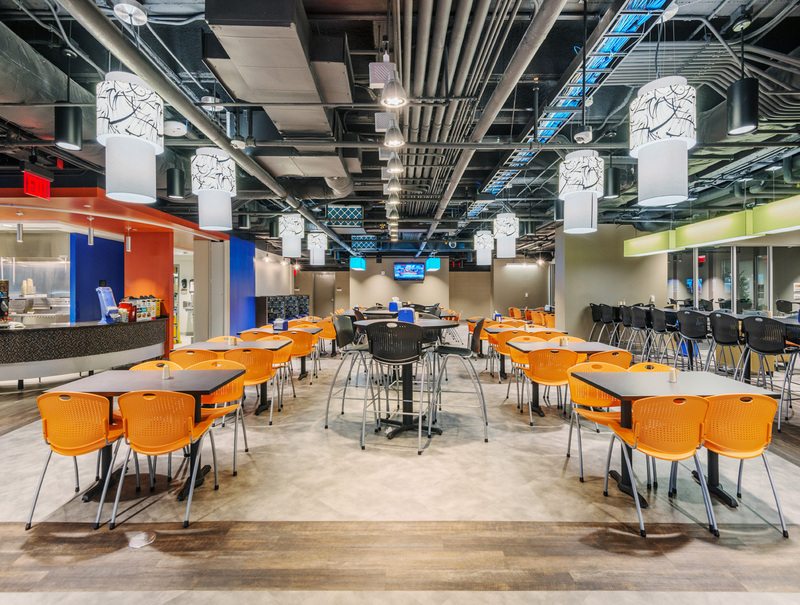 Within the facility, students have access to a broad spectrum of services including a post office, a 500-seat ballroom, student activity lounges, game rooms, a late-night grill, cafeteria, and a 100-seat movie theater. 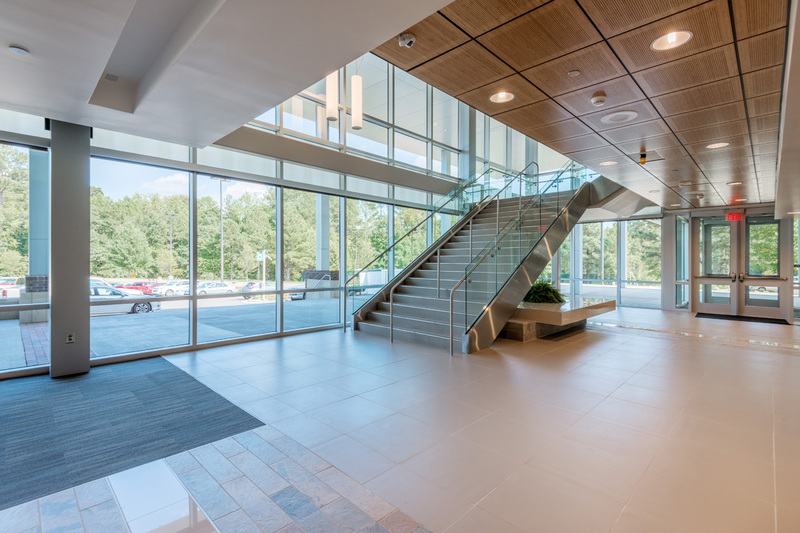 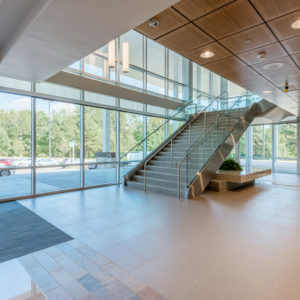 The spacious concourse and twenty-four-foot curtain walls allow natural light to flood throughout the building. 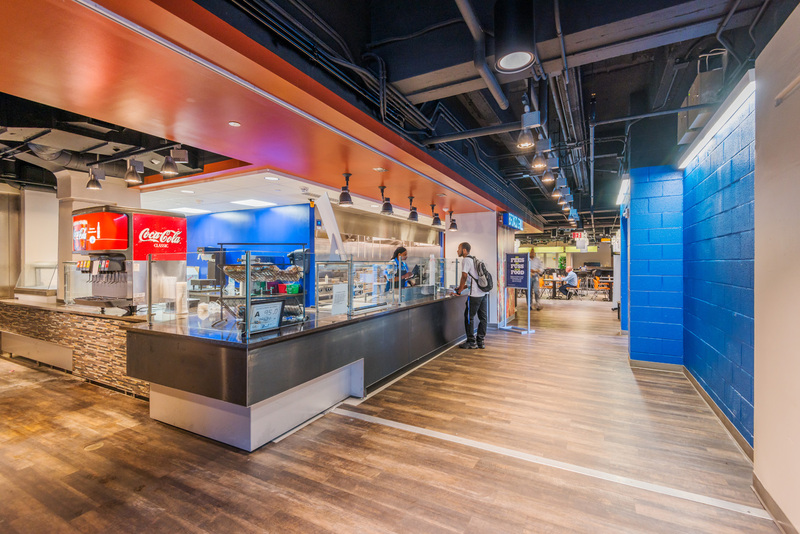 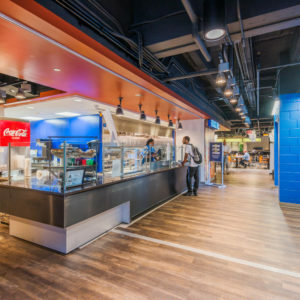 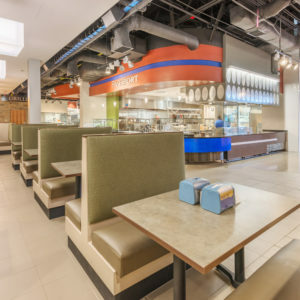 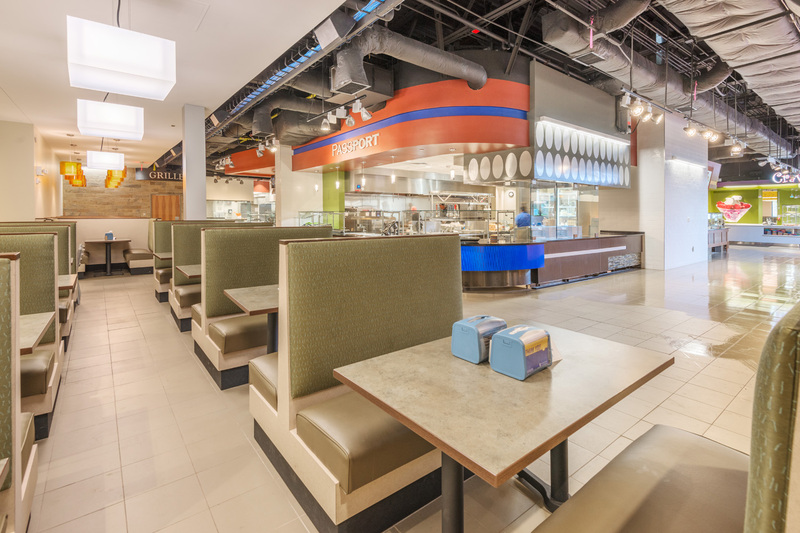 The Student Center is the University’s only food service facility and required the facility to remain open and provide meals and services during the planned two-year project. 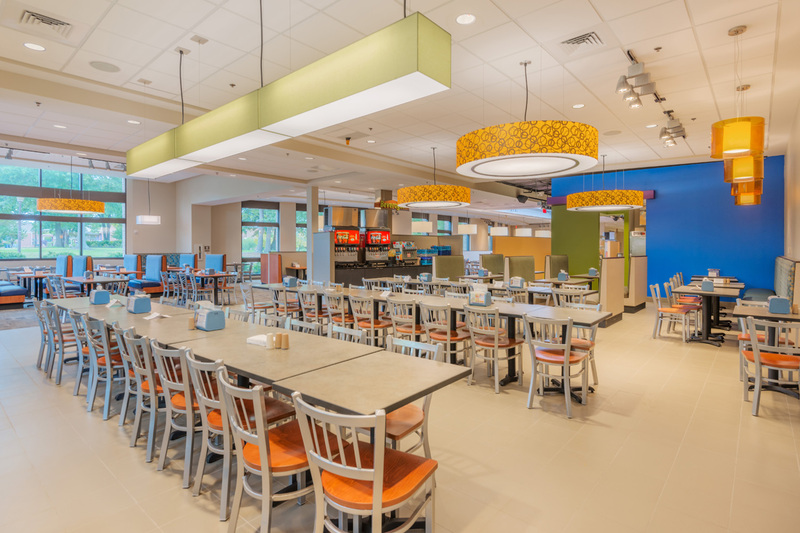 The project was phased so that access and meal service was continued throughout the project. 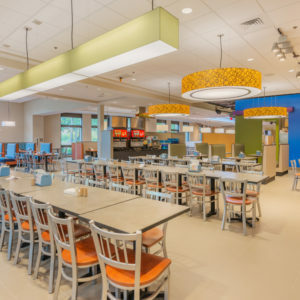 To achieve this, the entire construction schedule was accelerated to 20 months so that the main dining room was always available during the main calendar year. 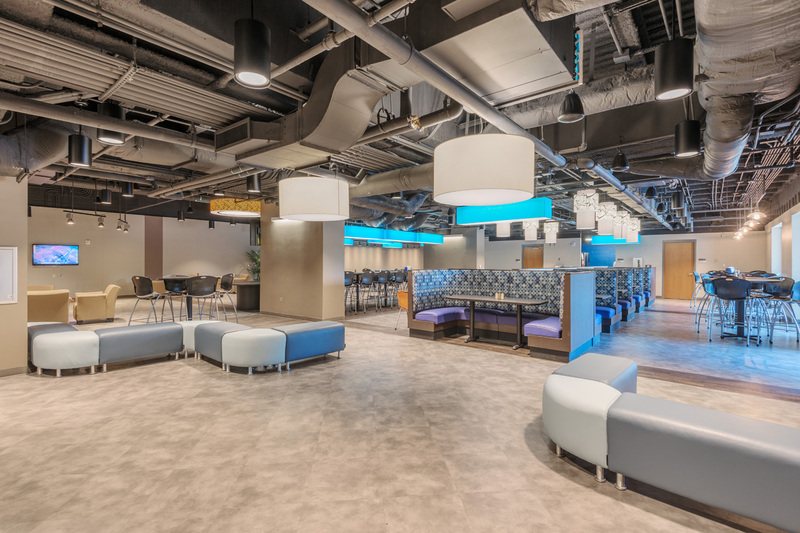 Watch Rudy Cardenas discuss working with SfL+a! 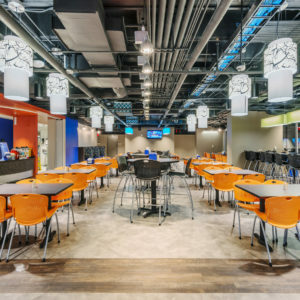 – Link video testimonial.